[Moscow, December 20, 2018] Huawei and UnionPay jointly launched the contactless payment service Huawei Pay in Russia, making Russia the 2nd country where Huawei Pay has been made available, following China. The UnionPay cardholders of Gazprombank and Russian Agricultural Bank will be the first to experience the advanced mobile payment service on Huawei and Honor smartphones. On August 31, 2016, Huawei and UnionPay jointly launched Huawei Pay service for China market. On January 26, 2018, Huawei signed a global cooperation agreement with UnionPay in Shenzhen. The two parties jointly agreed to promote Huawei Pay globalization and accelerate overseas implementation. Today, the two parties join hands to enter the Russian market, which is an important milestone and lays a solid foundation for a broader global layout in the future. With the global popularity of Huawei device products, Huawei Pay will accelerate global deployment. It is dedicated to bringing the latest technologies and services to global consumers, allowing more and more people to experience the convenience of the intelligent era and enjoy the joy of technology advancement. Huawei Pay will go live in Russia in the first quarter of 2019. Users can visit HUAWEI AppGallery to download and install the HUAWEI Wallet app, and enjoy the convenient, secure and quick payment experiences brought by Huawei Pay. UnionPay credit and debit cards issued by Gazprombank and Russian Agricultural Bank are initially supported to use Huawei Pay. We're constantly working to expand our list with additional financial partners. The following device models are supported: HUAWEI Mate 20, HUAWEI Mate 20 Pro, HUAWEI Mate 20 RS PORSCHE DESIGN, HUAWEI P20, HUAWEI P20 Pro, HUAWEI P10, HUAWEI P10 Plus, Honor 10, Honor V10 and Honor 9. 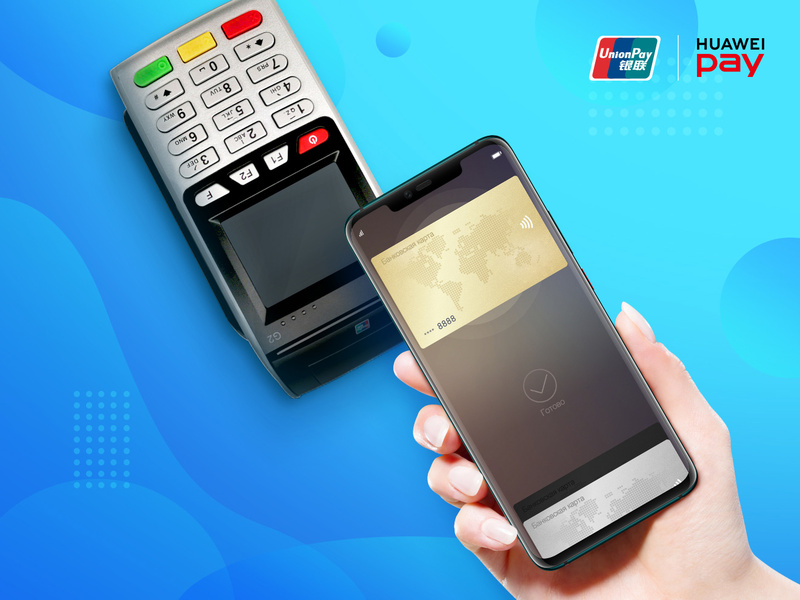 Huawei Pay is a mobile payment and digital wallet service that enables users to make payments using selected Huawei smartphones and Honor smartphones. It digitizes and can replace a credit or debit card at a contactless-capable payment terminal.